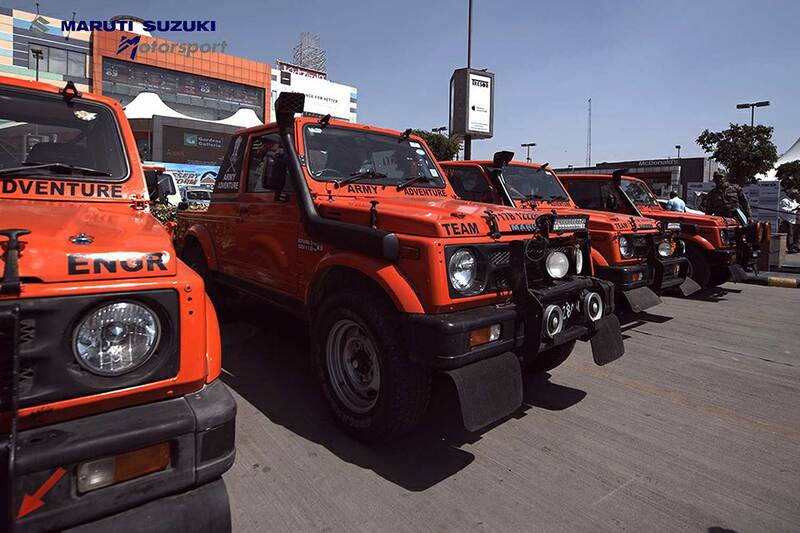 On Monday March 19th the "Maruti Desert Storm", biggest Rallyraid in India, was flagged off from the Great India Place in Noida. The five-day rally will take place in the scorching hot (40 degrees celcius) Thar Desert in the Rajasthan region and is set to explore new terrains, covering a total distance of 2500 kms of which 900 kms will be timed in 11 stages. The most interesting stage will be a nightstage with a distance of 160 kms. More than 250 competitors will compete in this year´s edition, again organized by "Northern Motorsport". "We will have around 200 officials, 70 mobile radio stations and 11 safety vehicles," the organization reported. The rally is splitted in the four categories Xtreme, Moto, Xplore and Endure - simply to say, motorbikes and cars. In the cars, 6 times champion Suresh Rana of Team Maruti Suzuki Motorsport is the main favourite and looking to defend his title. He will start again with his Maruti Suzuki Grand Vitara. 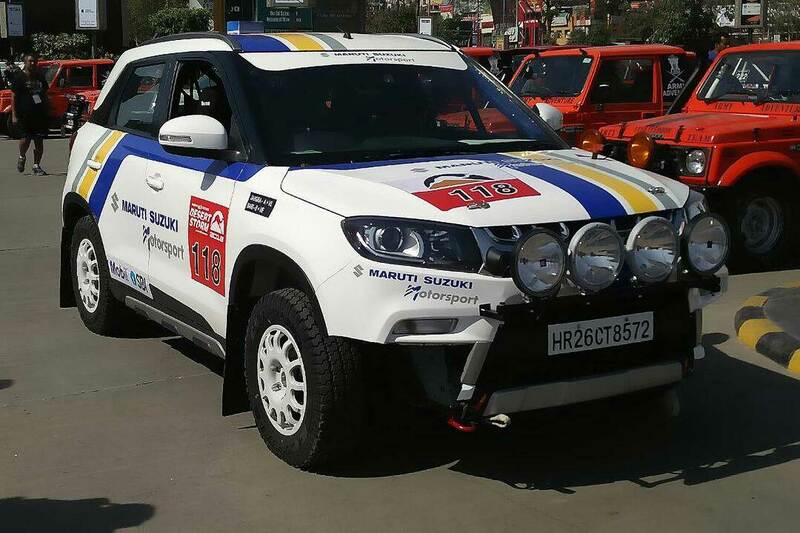 The title sponsor Maruti Suzuki also field the Maruti-Suzuki S-Cross and Vitara Brezza in the rally for the first time. The Moto category will see some big names such as Dakar-rider CS Santosh with his Hero 450RR Bike, the only Indian to have completed the Dakar. Sanjeev Handa, Vice President Marketing of Maruti Suzuki India Limited said: "In order to connect with the youth of India, Maruti Suzuki keeps the thrill and adventure alive in participants and audience through pioneering motorsport rallies. 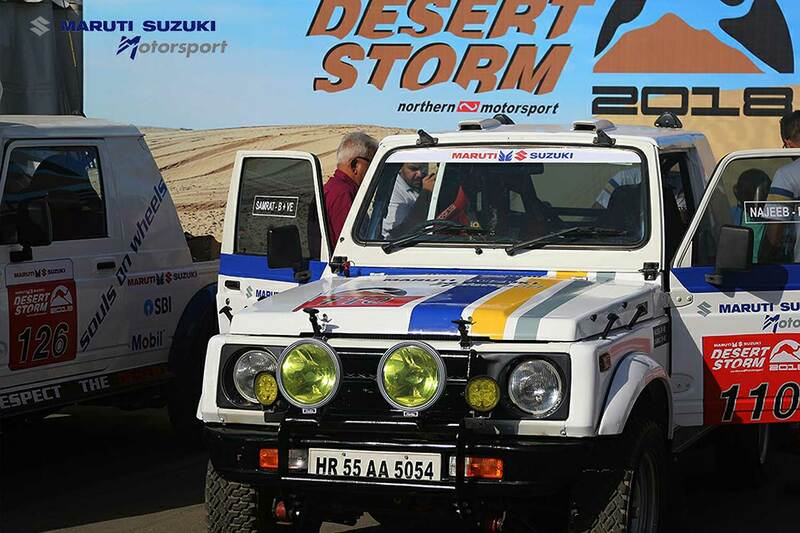 Considered as the perfect blend of thrill, beauty and cars, Maruti Suzuki Desert Storm has been the most anticipated rally set in the dunes. Each year, we try and bring in more excitement and challenges to raise the bar higher. The longest night leg and 70% of new tracks in the overall rally route is our answer to ‘what’s new?’."